As I've mentioned before, I spent the better part of my childhood pursuing a gymnastics career. I'd get out of school early, I'd attend summer gymnastics camp in Pennsylvania, and most importantly, I cut my hair like a boy. I was going through a bunch of my old things last week when home for my book tour and found what I've shared with you below. 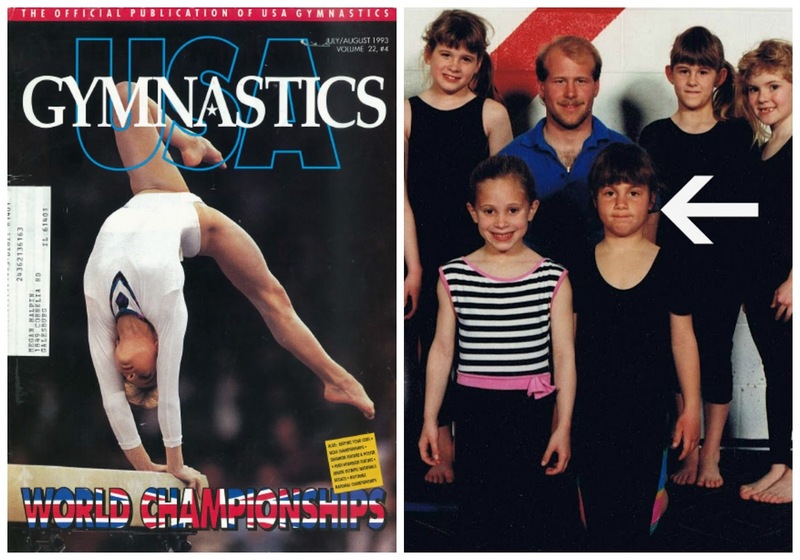 Being the budding gymnast that I was, I subscribed to USA Gymnastics Magazine. 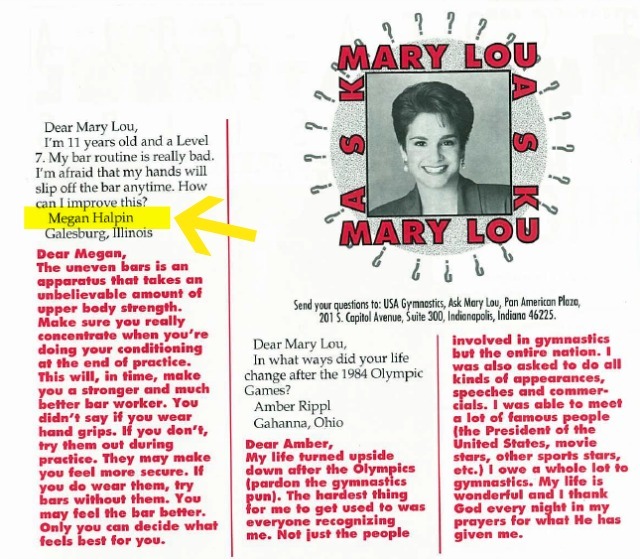 In lieu of a "Dear Abby" section the magazine, being gymnastics-centric and all, had a "Dear Mary Lou" section. Because I apparently enjoy embarrassing myself in front of all of you, I'm now going to share what my 11 year old self wrote to Mary Lou and what the editors chose to publish. Turns out Mary Lou's suggestions of strength conditioning and hand grips weren't the solution to my fear of the bars. Quitting gymnastics, however, proved to be much more effective. Also, I still maintain that the bars were f-ing scary!!!!!!!! Any Mary Lou fans in the house???? HAHAHAHAHA!!!!! MARY LOU!!!! You are a riot! One of the eye Dr's I work for has the last name Halpin! omg this is awesome! I love it!